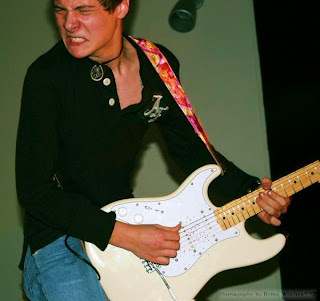 At 16, Tyler Dow Bryant is a recipient of the Robert Johnson Blues Foundation's New Generation Award, and has performed at Clapton's Crossroads Festival. And now Tyler joins the real big leagues as a member of Stratoblogster's Young Guitar Wonders and Strat-o-Brother's directories!! This Honey Grove, Texas native has been interested in guitar since he was tot, and has had a real bluesman for a mentor in Mr. Roosevelt Twitty (see bio at site). 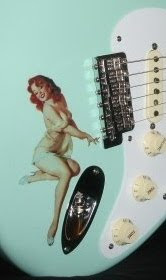 A listen to Mother-in-Law blues indicates plenty of Johnny Winter slide influence. Yeah!!! Tyler's myspace features lots of music, video and pics of Tyler onstage with Steve Lukather, and mugging with BB King, as well as hugging with Strat-o-Sister's Tal Wilkenfeld and Orianthi. Life is good! !